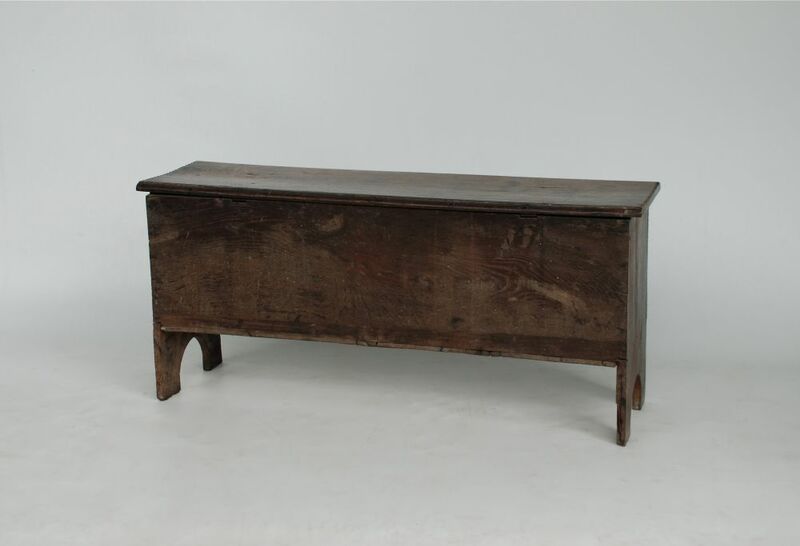 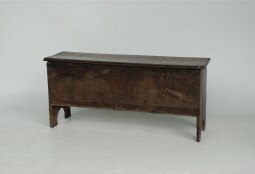 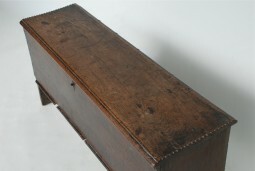 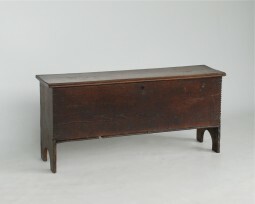 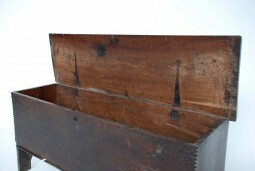 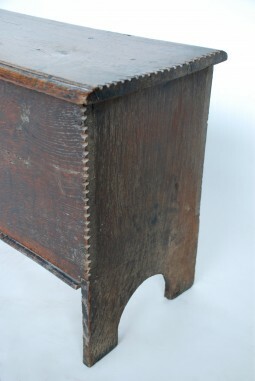 A small oak coffer constructed with planks, although unusually it has base boards running from front to back. 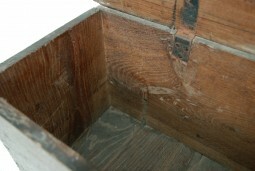 The coffer is decorated along the edges with chip carving. 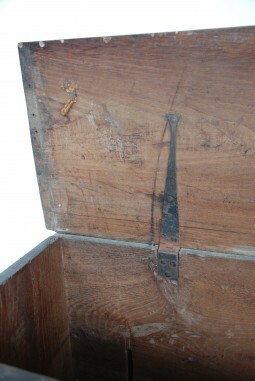 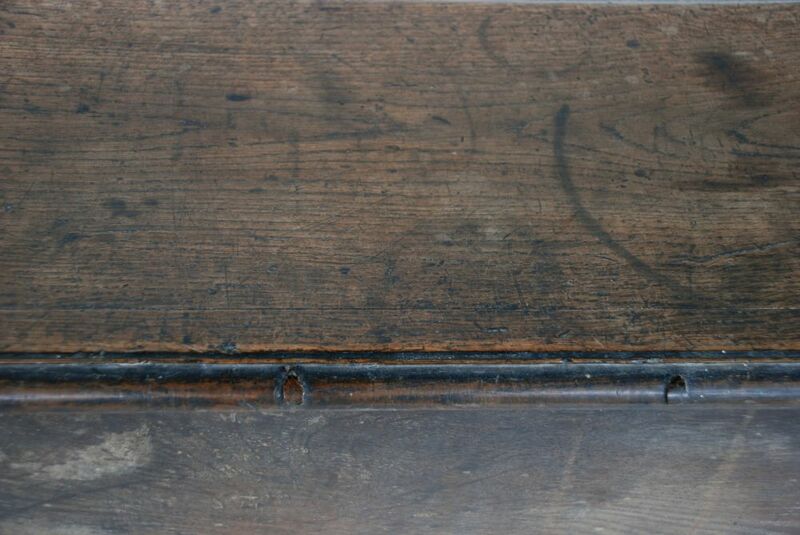 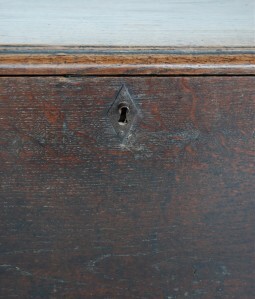 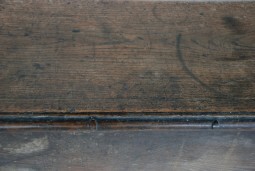 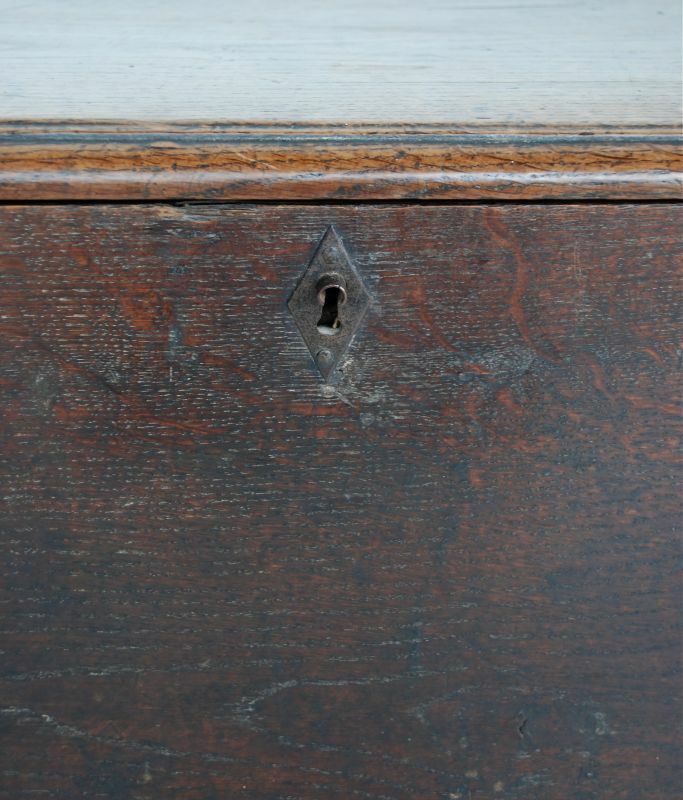 There are signs of earlier wire cotter hinges which date the piece to about 1670. There would also have been a candle box or till, unusually at the bottom of the inside rather than the top. 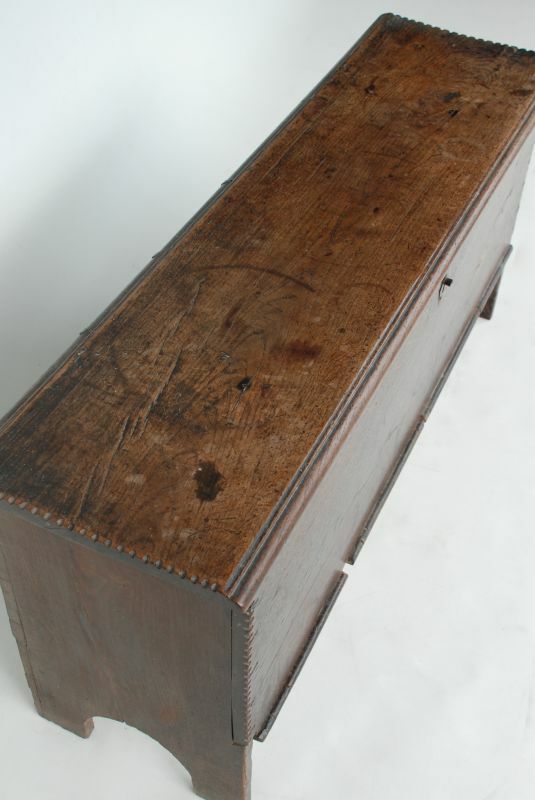 43 inches wide, 12½ inches deep and 20 inches high.